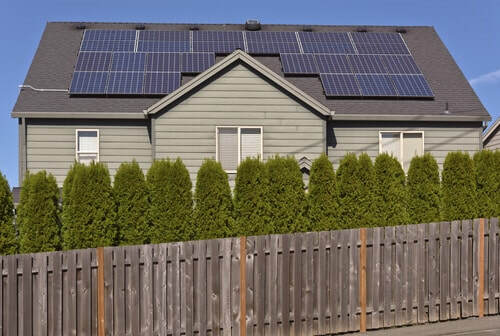 Flatiron Solar is your first port of call when you are looking for the ideal home solar company Boulder has to offer. Not only will you then be able to take advantage of our years of experience in the industry, but at the same time you will benefit from the expertise that our team has which will become apparent from the very outset. After a number of years in the industry, our installation team are perfectly placed to advise you on which option is best for your needs alongside making sure that everything is running smoothly from the outset. Of course, the difficulty with home solar installation is just even knowing where to begin, which is why we seek to remove that stress and become your one-stop solution. Not only is our team highly-trained, but they are also very experienced at dealing with any eventuality. In other words, no job is too complex and nor will they find that they are unable to cope with delivering the perfect solution. That is just not going to happen, so you can rest assured that we will deliver on exactly what it is that you require. Other professional home solar companies will also have a tendency to try to fit you into what they believe is best for your needs without giving you the option to discuss things. However, we believe in sitting down with you in person and to actively work through what it is that you seek and then provide you with a number of options that we believe will fit the bill. At the end of the day, the final decision will rest on your shoulders, but we will be there to answer any questions or deal with any concerns that you may have. It is important to stress that Flatiron Solar also offers a full range of services from start to finish which means we do not simply deal with the installation aspect, but rather we will go ahead and help to maintain the technology throughout its lifetime. For us, this is just as important as any other stage simply because it will lead to your home solar power system being able to work to the absolute best of its ability and greater efficiency means a greater yield for you. So, if you are even just thinking about switching over to solar power and are unsure as to what to do next, or even if it will indeed be perfect for you, then give us a call at Flatiron Solar to see how we can help. Not only will we be happy to answer any questions that you may have, but we will always strive to meet your budgetary requirements as well as your energy needs.